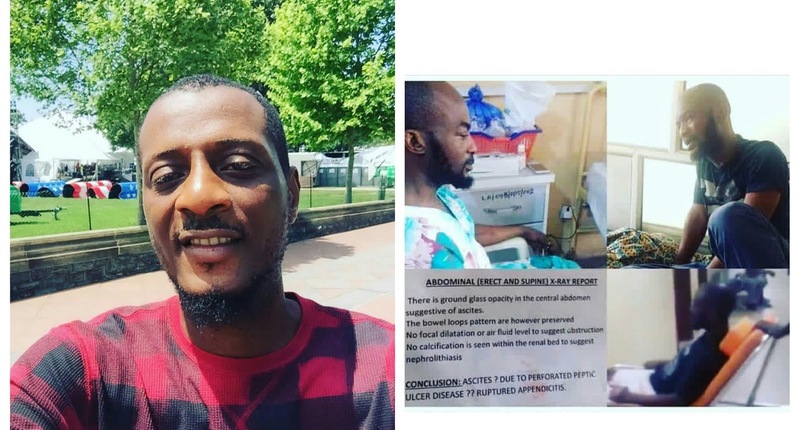 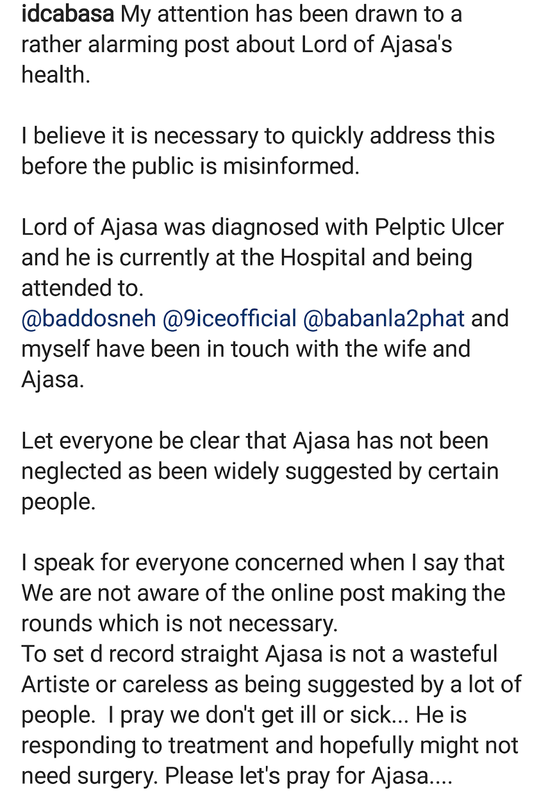 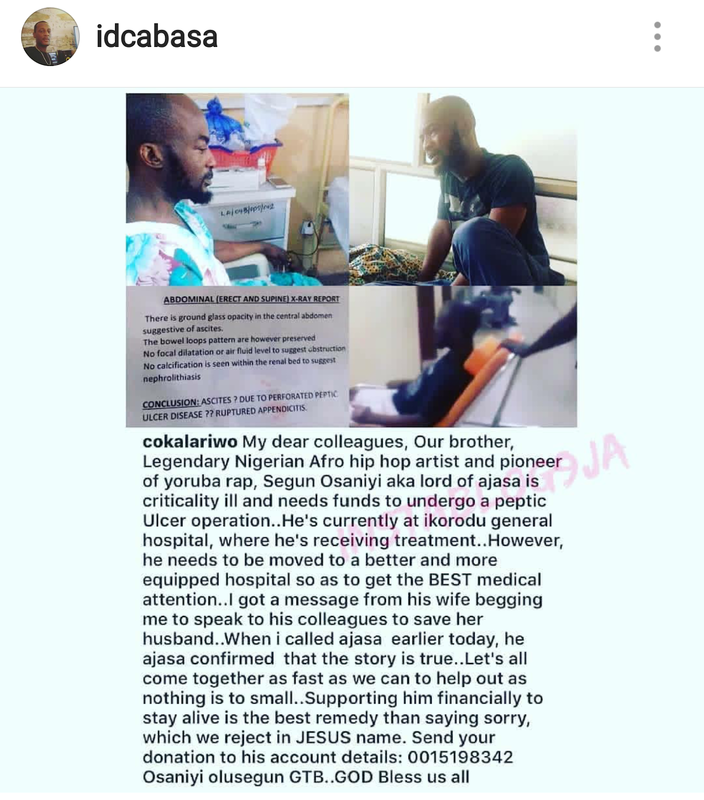 Ace Producer, Olumide Ogunade largely known as ID Cabasa has released a statement to counter the news going round that his former protégé, Lord of Ajasa who was diagnosed with Pelptic Ulcer has been ignored by close associates. 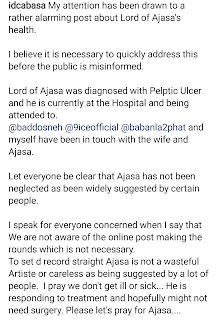 According to the Coded Tunez boss, Olamide, 9ice, 2Phat and himself have been contacting the wife lately in ensuring that the Yoruba Rapper gets better. Cabasa also revealed that The "Esalobade" Crooner may not need to under surgery anymore.